For health and vitality, a clear and harmonious flow of energy through the body and the mind is essential.Join Fiona from Theia Sound Healing for an exploration of mindful movement, sacred sound and deep relaxation to open and clear your energy pathways and retune your system. 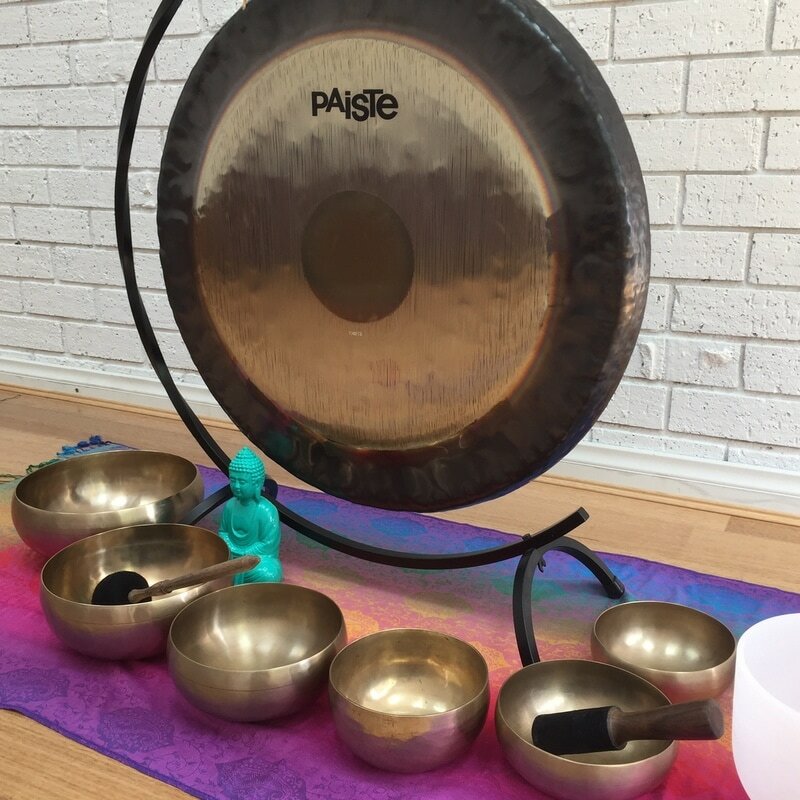 Gentle yoga, Qigong, breath work and meditation will be accompanied by the angelic sound of Chrystal Singing Bowls and the ancient vibrations of the Gong. ​The sacred sound will help activate your energy centres and awaken a higher state of awareness. The immersion will help you shift any stagnant or blocked energy from the body and mind and allow you to feel centres and rejuvenated. No previous yoga or Qigong experience necessary. Fiona is qualified yoga, Tai chi and Qigong instructor who also hold a Diploma of Sound Healing. ​Please book early to avoid disappointment.